Plant-based meat alternatives are gaining major traction in both the restaurant and grocery worlds, which means we’re likely to see a veggie-centric shift in the variety of tasty protein sources available to supplement a healthy diet. Jackfruit, an Asian tree fruit that’s part of the mulberry family, has a fibrous flesh suitable for replacing pulled pork in recipes. Low in carbs and calories but high in protein and potassium, it provides a healthful yet hearty boost to tacos, barbeque, sandwiches, curries and more. You will also see meat substitutes be given more of an equal-billing in your local food retail establishments. Vegetarian and Vegan “butcher” shops are popping up in urban areas such as Minneapolis and New York; and, supermarkets such as Whole Foods, have begun to merchandise Beyond Meat, a ground meat alternative (and Nelson-Jameson customer! ), alongside its beefy peers in the butcher case. Looks like veggies will be moving up to entrée status on a more regular basis! A major trend in the dairy category this year will be ‘Clean Label’. 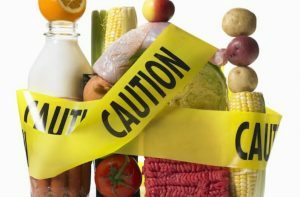 Clean Label foods are generally those that are minimally processed, natural or organic, “free-from” certain additives and/or have simple, understandable ingredients. In other words, clean label is all about transparency to the consumer. The concept is being hailed as the new “global standard” in dairy processing, and is predicted to eventually incorporate the entire supply chain. It’s advised that dairy processors view clean label as a strategic approach to “increase consumer trust and to mitigate brand risk” and focus on “back to basics” product formulation. It looks like the approach will likely be profitable– -studies claim that 75% of consumers are willing to pay more for clean label products. Many have hailed 2016 as the “Year of the Sugar Tax”, and it appears that things aren’t going to slow down on the legislative front in 2017 with many cities, states and countries considering versions of sugar taxes in the name of health. In the United States, the FDA will require the that the “Nutrition Facts” label on packaged foods list the added sugars separately from total sugars beginning in 2018. Globally, food manufacturers have been reformulating their products to comply with both the trend and various laws, with a “low sugar” claim seemingly being the sweet spot. However, words like “low” and “added” seem to be somewhat subjective, and some in the food industry plan to respond to sugar legislation with litigation. It looks like we may be in for one long, bittersweet ride. 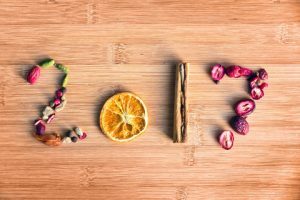 As these three food and beverage trends highlight, health is at the forefront in 2017. Look for lots of buzzwords like “better for you”, “free-from”, “clean label”, “organic” and “natural” on food packaging, restaurant menus and in food marketing. Because for food processors this year, health truly may mean wealth. There have been times in the past when I became ill with a supposed food-borne illness, or found a bug in a product in my home and wondered did that come from my kitchen or did it come from the manufacturer? From my experience of working in the food industry I know that every comment that came in had to be investigated. I would have to go up to our retention samples, find the lot number that the customer was commenting on, and do some investigation. This included looking at the certificate of analysis to see what the bacterial counts were at, looking at the production log from that lot, and looking at batch test reports. Depending on the severity of the comment or the frequency of the comments from the same lot number, determined how far we took the investigation. Thankfully, in my time in the plant, I was never part of a recall, but recalls are definitely a reality of the modern food industry that companies should consider. Recalls can happen for a number of reasons including: undeclared allergens; contamination with a pathogen such E. coli, Listeria monocytogenes or Salmonella; foreign object contamination such as plastic, glass or metal fragments; nutrient imbalance, along with numerous others. Recalls can be costly and they can affect a company in three different ways that are useful to keep in mind. First and foremost are direct costs. According to Sam Lewis of Food Online, average direct costs of a recall comes in at about 10 million dollars. This is assuming that no one becomes sick, injured or dies from the product. Direct cost begin to start adding up initially, in dealing with regulatory bodies, including making them aware of what is going on. Once a recall is initiated, the recalling company submits their recall strategy to either the FDA or FSIS. Then, of course, there are the costs of retrieving the affected product, its storage, and proper disposal. While the product is being retrieved, companies can count on an exhaustive look into documentation, HACCP plan, and GMPs used during the time frame of the recalled product, in principle, finding the root cause of what happened to cause the product to be contaminated. Were employees washing their hands, wearing gloves? Was the metal detector working and in place, were the right safety precautions taken to prevent a metal, glass, or plastic fragment from falling into the product? These questions along with many others have to be asked along with a plan to prevent another recall from happening again. This plan also has to be submitted to the regulatory bodies so they know that you are being responsible in the handling of the situation. Secondly, the cost of lost sales can also be another tough pill to swallow. No product goes unturned until the problem is figured out. That means a long drawn out downtime on production lines, tanks, etc. until the root cause is figured out and a plan is in place and approved to prevent it from happening again. In addition to the cost of any food that needs to be recalled, downtime unrelentingly keeps cutting the bottom line throughout the recall process. However, the true costs of a recall doesn’t stop there. A third cost to consider, is the cost that a recall can have on a company’s reputation. Facebook, Twitter, and other social media platforms can take a food safety case quickly from the privacy of a few kitchens quickly over to the court of public opinion, when it takes just seconds to share a post with friends, family, and anyone who will listen. For PR departments trying to manage a company and brand identity in the midst of a potential recall situation, this can be a frustrating Pandora’s Box to have opened. “In a Harris Interactive Poll, consumers indicated that 55% would switch brands temporarily following a recall, and 15% said they would never purchase the recalled product and 21% would avoid purchasing any brand made by the manufacturer of the recalled product.” Read Here. When these three kinds of costs are added up, you can see why some food processors never recover from the financial strains a recall can put on an operation. Here at Nelson-Jameson we are here to give you the tools, equipment, and knowledge you need to help avoid recalls, produce a consistent and safe product, and to keep your customers coming back for more.